Abdul Wali Khan University Mardan: QEC, AWKUM Organized a One Day Workshop on "Turnitin Software and HEC Plagiarism Policy"
QEC, AWKUM Organized a One Day Workshop on "Turnitin Software and HEC Plagiarism Policy"
The Quality Enhancement Cell (QEC) Abdul Wali Khan University Mardan (AWKUM) organized a one day workshop on "Turnitin Software and HEC Plagiarism Policy" on March 19, 2019 in the Library Hall Garden Campus. Focal persons from various departments participated in the workshop. Director QEC AWKUM formally welcomed and briefed the participants regarding the objectives of the workshop. He assured his full support for facilitating faculty and students. 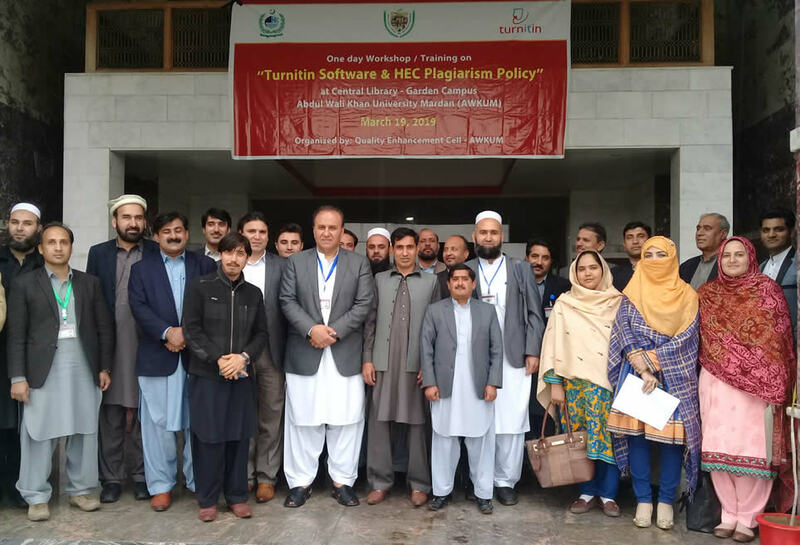 Dr. Sajjad Ahmad Khan, Associate Professor of Statistics, Islamia College University Peshawar and Dr. Izaz Ur Rehman, Assistant Professor of Computer Science, AWKUM delivered detailed and comprehensive presentations on HEC Plagiarism Policy at institution level and Turnitin usage. Addressing at the concluding ceremony, the honourable Vice Chancellor Prof. Dr. Muhammad Khurshid Khan gave a comprehensive address about implementation of HEC Plagiarism Policy. He strongly advised focal persons to extend outcomes of the workshop with all faculty members. He further advised QEC to arrange the same workshops for graduate students as well. 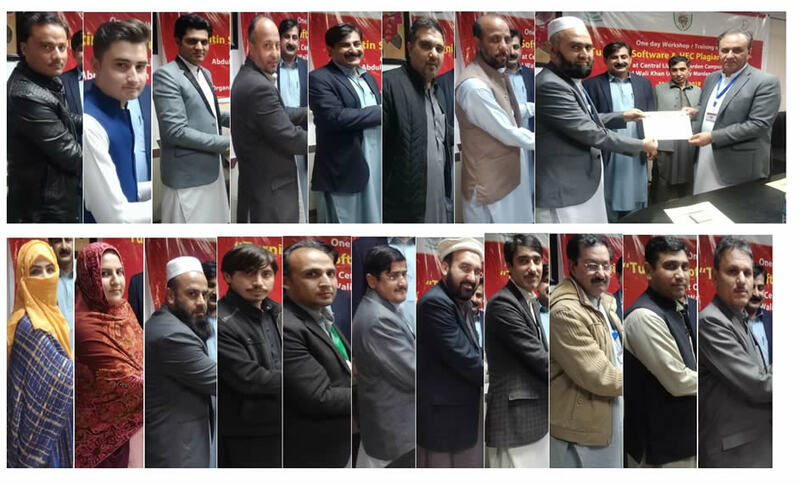 At the end, certificates were distributed among the participants.